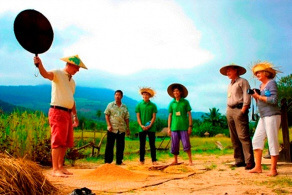 Spend a morning on our LIVING RICE FARM, Come and let us show you how rice is grown on our farm, experience the life of a farmer and try your hand at some of the activities. We have reduced rates for children. Please contact us, we can arrange free pick-up! Your fee contributes to our community efforts and free English classes for children! Such unique experience-fun, educational, hands-on and eco-friendly. The best thing we did out of Luang Prabang. 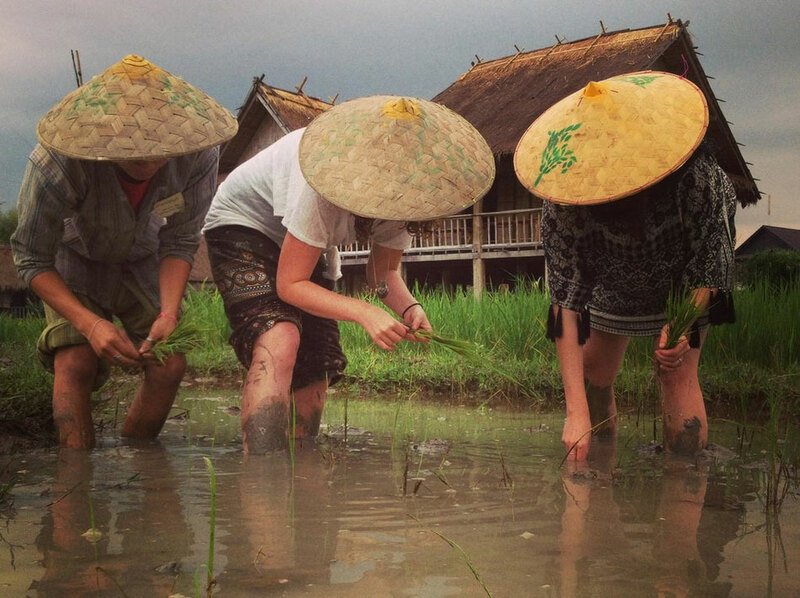 Such a unique experience – you’ll never look at rice the same! Had such a good day at the Living Land Company. 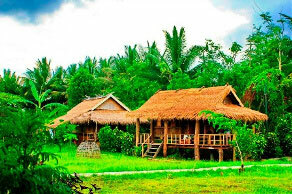 They taught us so much about rice, farming in general as well as local the way of life in Laos. Typical Lao dishes served in traditional style on our Terrace.